When you start the add printer wizard on windows 7 or windows server 2008 R2 (and probably windows 8 and windows server 2012) not all your printers are displayed in the list. 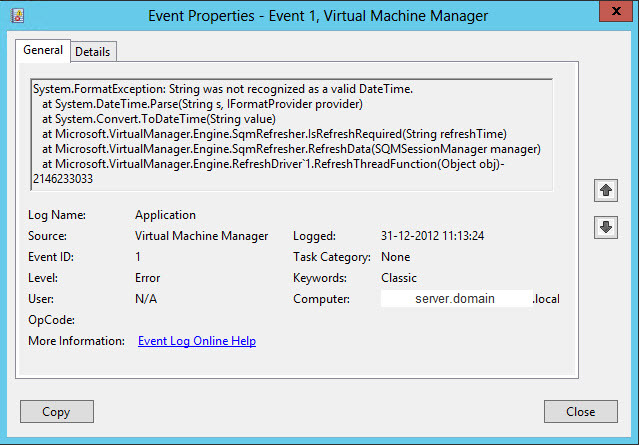 But all printers are configured to be listed in Active Directory. 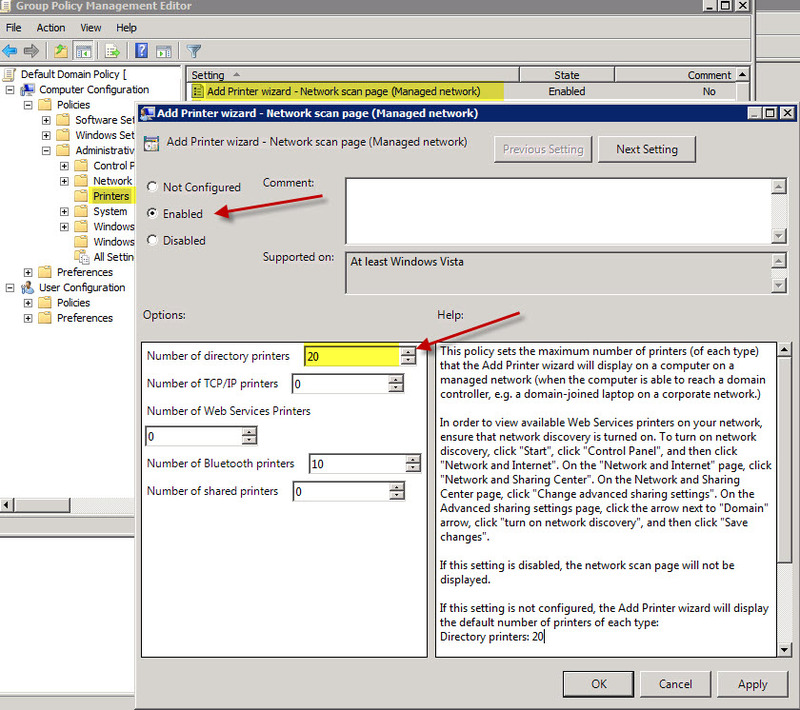 Enable the policy and change the value for Directory printers to a higher number. This is the amount of printers you will see in the list. 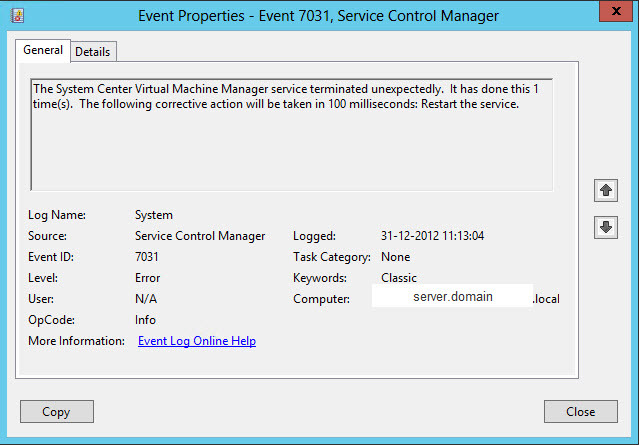 Posted in Blog, Windows 2008R2, Windows 7, Windows 8, Windows Server 2012 at October 19th, 2012. No Comments. 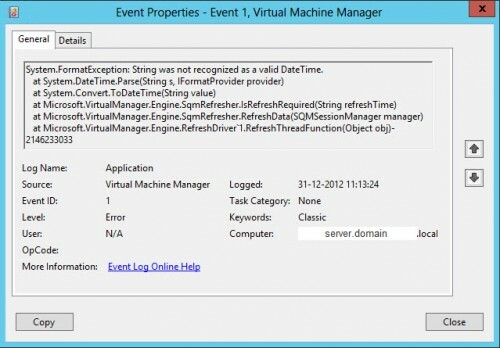 Today Microsoft announced the Windows Server 2012 editions, they have simplified the licensing. There are coming dramatic changes and there will only be four editions, Datacenter, Standard, Essentials and Foundation. For more details see this post on the official site and the licensing datasheet. There is also a FAQ with most common questions answered. 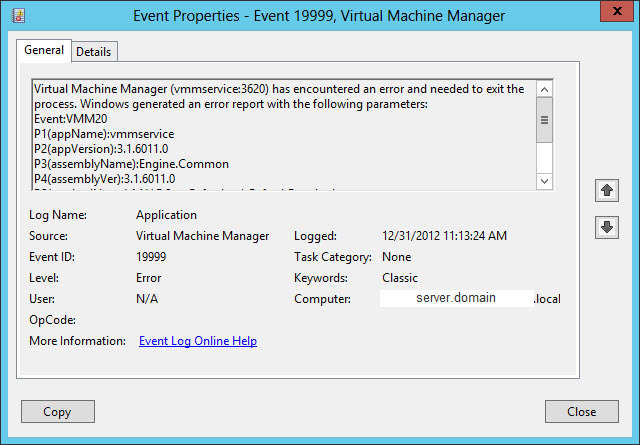 Specific I would point to Q33 because this will sign the end of an era Windows Small Business Server. 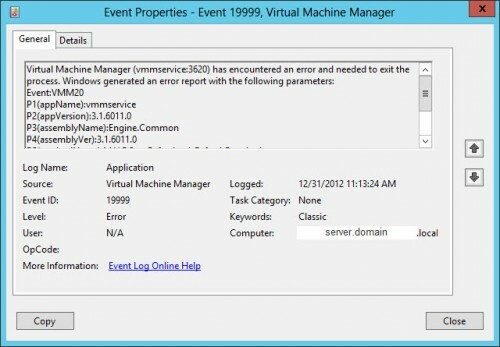 Q33: Will there be a next version of Windows Small Business Server 2011 Standard? No. Windows Small Business Server 2011 Standard, which includes Exchange Server and Windows server component products, will be the final such Windows Server offering. This change is in response to small business market trends and behavior. The small business computing trends are moving in the direction of cloud computing for applications and services such as email, online back-up and line-of-business tools. The Small Business Server Essentials product introduced with version 2011 with a connection to Office 365 will be kept but renamed to Windows Server 2012 Essentials, so it also will lose the product name SBS. Here is the official announcement on the SBS Blog. So as expected Microsoft is changing their complete focus with Windows Server 2012 to cloud optimized solutions and the Windows Small Server doesn’t fit in this picture anymore. 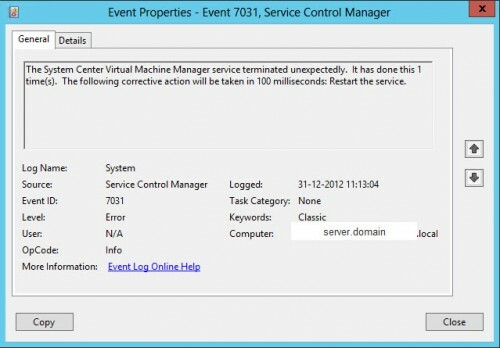 Posted in Blog, SBS 2011, Windows Server 2012 at July 5th, 2012. 3 Comments.